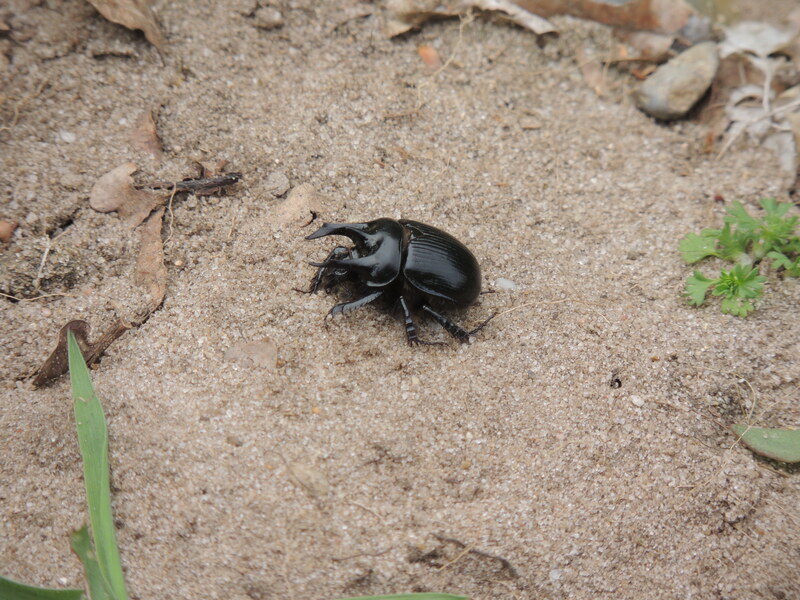 The Minotaur beetle is a large black dung-beetle of grassland which feeds primarily on rabbit droppings. The males have horns which they use to defend their nest. Now that’s one amazing beetle! It would give me pause if it turned up in my garden. :-0 How big do they get? Adult male (as in this picture) up to 2cm. 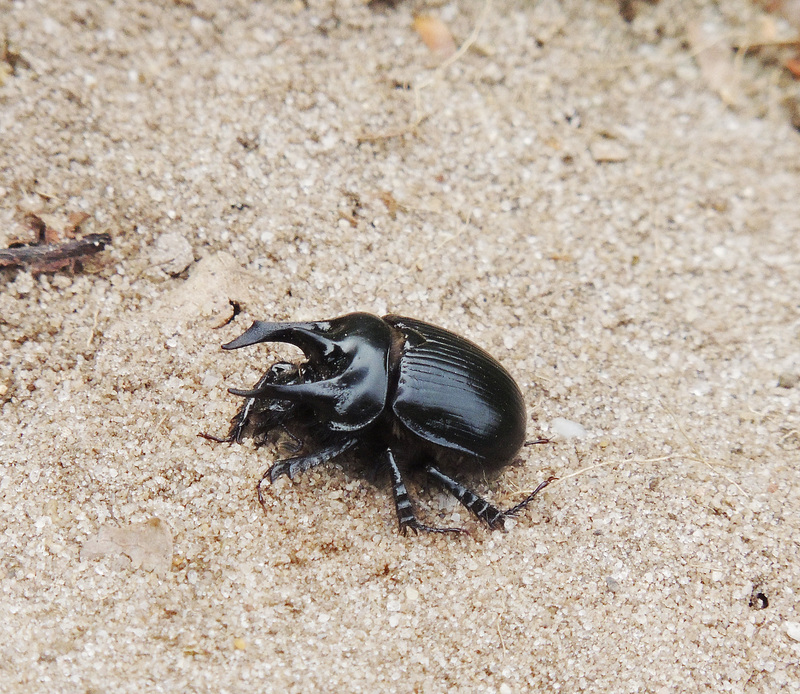 It si found on sandy grassland and heathland so probably more likely to find the larger Stag Beetle in your garden.